Located in Alpharetta, Country Club of the South is one of Atlanta's premier luxury home neighborhoods. The community is situated on over 900 acres nestled against the banks of Chattahoochee, with a Jack Nicklaus designed championship golf course weaved throughout. Behind the secure gates of the entrance sit 733 homes, a park, playground, community clubhouse, swimming pool and 7 championship tennis courts, to name a few. Country Club of the South is home to some of Atlanta's highest profile celebrities and athletes. The community's secure and private lifestyle is a major draw for many buyers looking to golf with close friends on the yards of trimmed Bermuda grass. 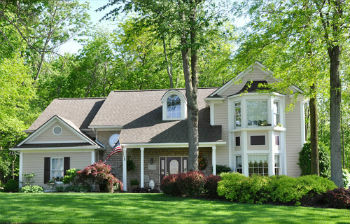 Homes for sale in Country Club of the South are premier estates on acres of land with immaculate landscaping. This established neighborhood is known for its fine homes and quiet living. The houses are typical of Georgian estates with European detailing such as stunning front porches and sprawling lawns. The interiors of these homes are impeccably appointed. For an active lifestyle, residents can join in on the programs at the clubhouse or make use of the facilities. From a start–of-the-art fitness center to a Junior Olympic sized pool, the clubhouse is a bustling hub for the residents. Golfing at the Country Club is reputed for its course design, amenities, and lifestyle.